It is time to bring a revolutionary change to your mundane website and give it a spark that will make it entrancing and exciting and attract more and more viewers. To give your ordinary website that rejuvenating flavour, you just need to install and set up the Total WordPress theme into your machine. Total is a modern multipurpose premium WordPress theme with clean design. This theme is full of features so you can create any website or blog. With Total you can build online stores, blogs, news sites and more. Fully customizable. You can create anything and everything which is unique to your choice, change the colour or fonts and in simple words play with it to satisfy your requirement. Visual Composer with a drag and drop page building facility to build almost anything. Slider Revolution, a plugin which will make it easy for you to give effects. Multi header and sticky header options, along with 650+ font styles, 90+ builder blocks and combinations, to create layouts to suit your needs. Built-in Social Sharing For Posts. Pre-built page layouts to help you create pages conveniently. Ready translations to make your blog readable for all. Formatted Testimonial posts and custom posts to make media adding easy. Sample Mega menus and custom hovering effects to make the website look smarter and innovative. 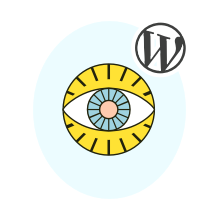 WordPress SEO by Yoast supported and free theme updates. Custom Parallax Image Row Backgrounds. The quality and structure of Total WordPress theme is exclusive and fascinating and is bound to reach out to your customers and make you prosper.